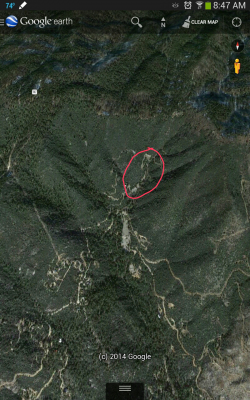 Crown King Gold Mine (Silver King Pattent) on Spectacular 17.5 acres. Incredible views, tons of water. Own your own 'Historical' Silver Mine in the famous Bradshaw Mountains! Beautiful for a 'getaway' home or check out your mineral rights! Assay, Feasibility studies, mining maps, informational video and vein locations are available. These 'patented' (Silver King Pattent) mining claims are rich with history and were created under the mining laws of 1872! Surface and mineral rights convey. Contact me for more information and link to a 34 minute video of the location, studies and mine information.